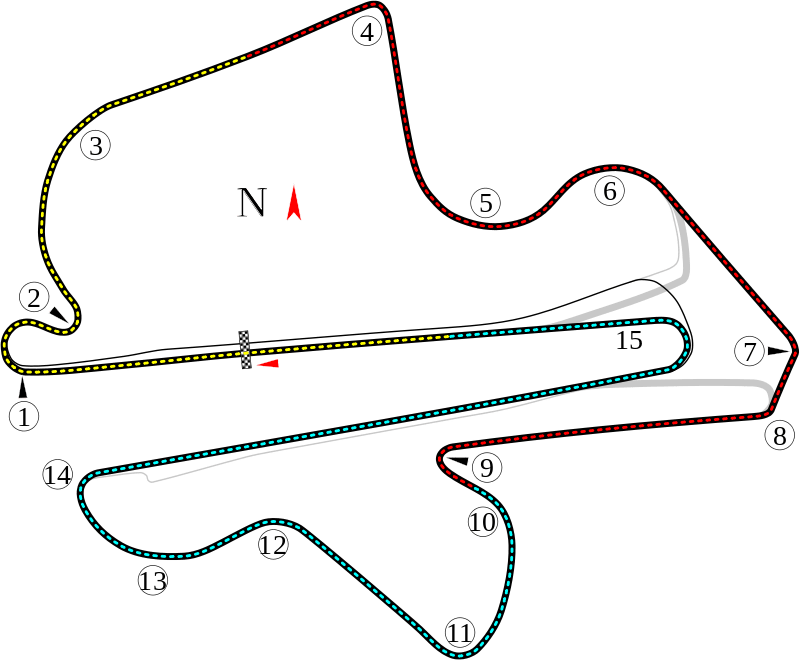 After a routine Australian Grand Prix led to a routine 1-2 finish for Mercedes, and much complaining about the fairness of F1, the circus moved on to Sepang, Malaysia, a circuit that usually offers up some good racing amid variable conditions. Sepang is completely different to Melbourne. Whereas Melbourne is a street circuit, Sepang is designed for races and it is a stern test for the drivers. The humidity is high, there are plenty of fast corners to provide harsh G-forces, and the temperature in the cockpits can reach 50C. Only Singapore compares. Torrential rain interrupted Saturday’s qualifying for a brief time, and led to reigning champion Hamilton narrowly avoiding missing Q3 (where he would go on to get pole), and Ferrari’s Kimi Raikkonen only starting 11th (which must have been especially galling considering his teammate Vettel started 2nd). I didn’t get to see the race (not that I mind, I was at a family function this weekend, and it’s always good to see family! ), but a brief look at some of the highlights, as well as tracking the race via the BBC live feed, revealed that Vettel, who failed to take a single win in 2014, took a surprise victory today. His race was well-managed, with Ferrari making a two-stop strategy work ahead of the Mercedes’ three-stop. Vettel was able to keep pace with the two Mercedes throughout the race (a surprise in itself, given the gap that had existed in Australia), and the two-stop strategy proved superior today, allowing Vettel to do longer stints and thus lose less time in the pits, almost certainly a factor in his 40th career win. Was this because Vettel is the brilliant driver that so many (myself included) have not quite been prepared to accept him as, is this because Ferrari have taken a leap forward in the past two weeks, or was it down to a combination of the two? Could we put Vettel’s victory down to Mercedes making mistakes, or would that be unfair on Ferrari and Vettel? Hamilton was complaining about how his car performed on the ‘prime’ tyre, and it would seem Rosberg may well have had similar issues (the Mercedes team don’t usually split their strategies). So, perhaps the risk of a one-on-one, all-Mercedes battle for the title is not as great as people think. It’s also a marker to other teams who have been whining lately (Red Bull, I’m looking at you). The Ferrari engine is not as powerful as the Mercedes engine, but despite this, the Ferrari not only beat the Williams (which boasts a Mercedes engine) but also the Mercedes cars themselves! Some of this is down to the pit stop strategy, but some of it could well be down to the chassis – the overall design of the Ferrari car is much improved on last year, and aerodynamic gains can still have serious importance. Other teams, take note.